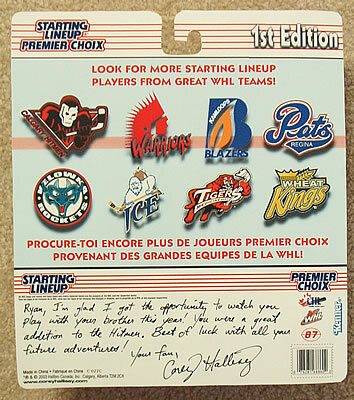 I have had season's tickets for the Calgary Hitmen since 2000. 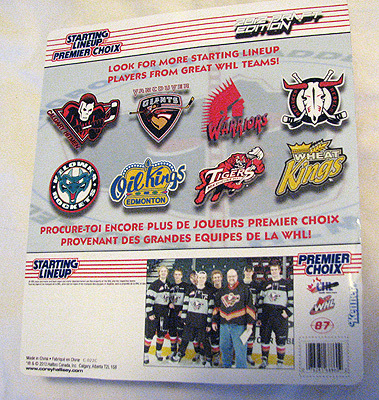 After seeing my first Hitmen game, I instantly became a fan of these guys. 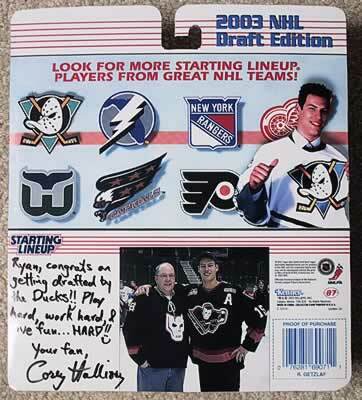 They play some of the grittiest, toughest hockey I've ever seen. 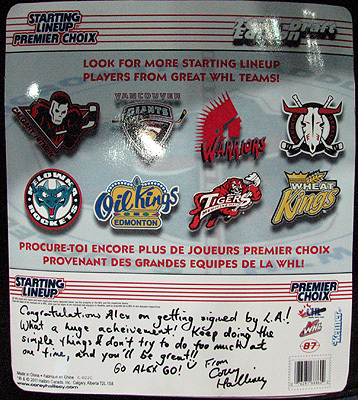 They're all young guys, who all have something to show, and will work their hardest to play a great game of hockey! 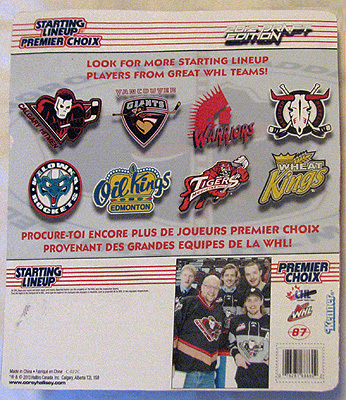 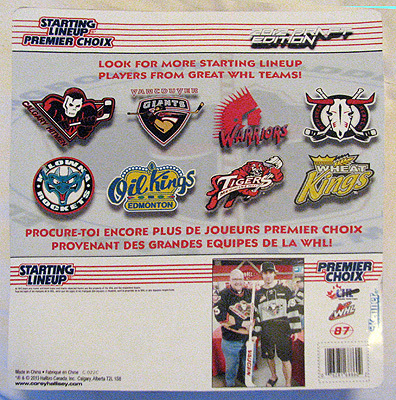 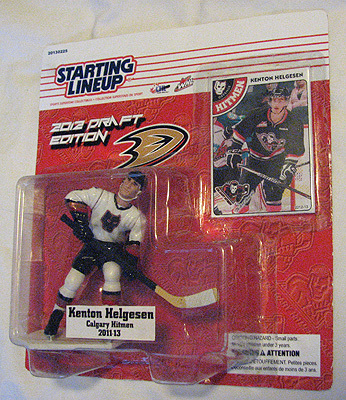 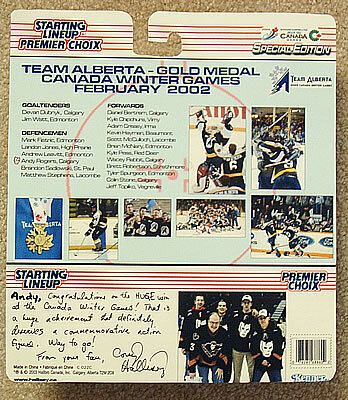 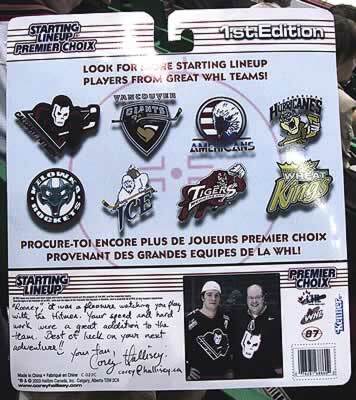 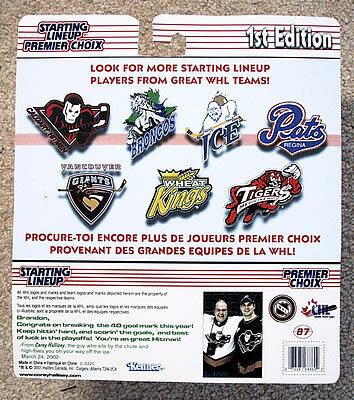 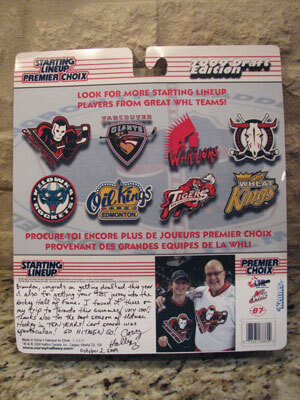 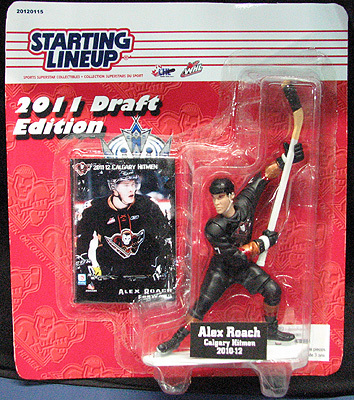 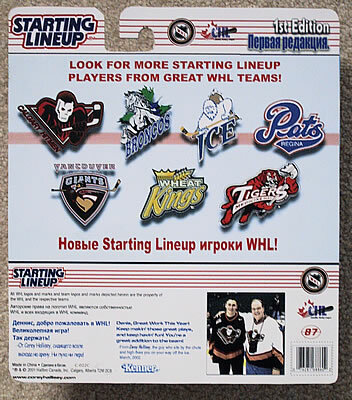 Starting in 2010, I started designing the Hitmen Hockey cards for the team, through the Hitmen Booster Club. 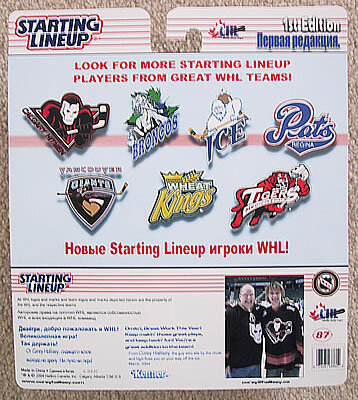 The Hitmen made a fantastic Memorial Cup run in 2009-10, but the following season, they went from the top of the league, to the bottom of the league, not making the playoffs for the first time in a long time. 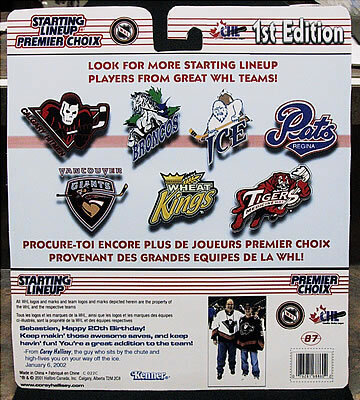 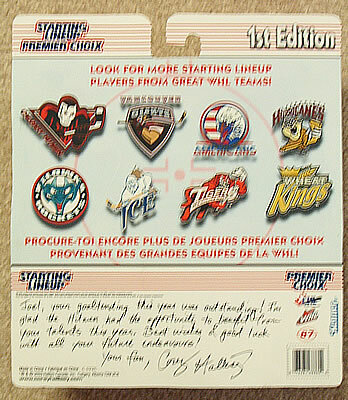 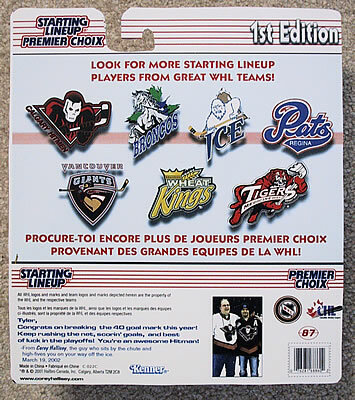 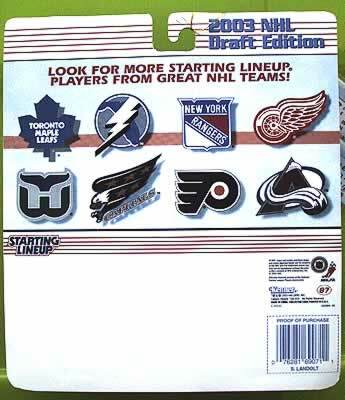 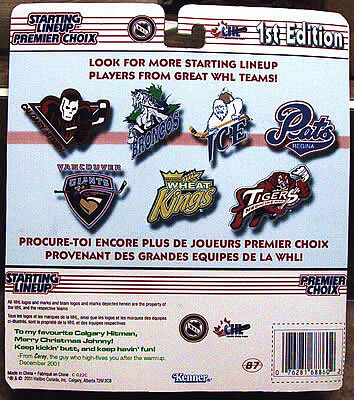 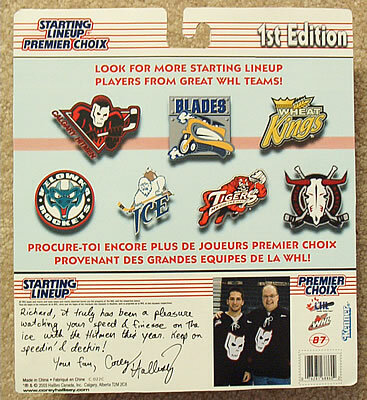 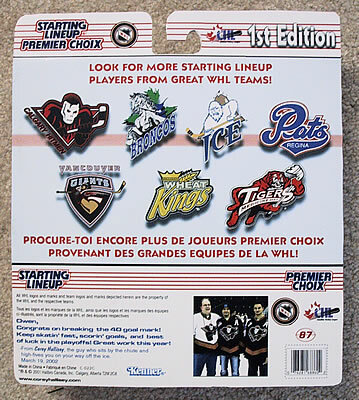 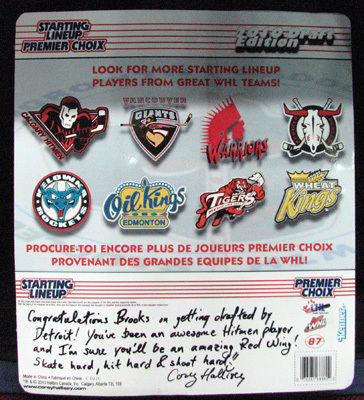 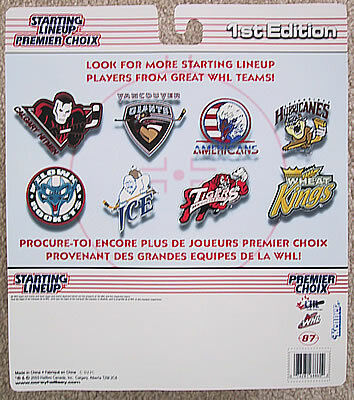 After this post-Memorial Cup-crash, the previous sponsors of the hockey cards dropped their support for them. 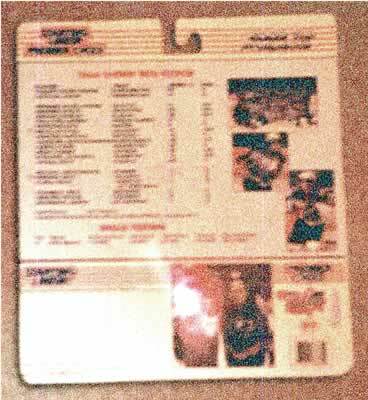 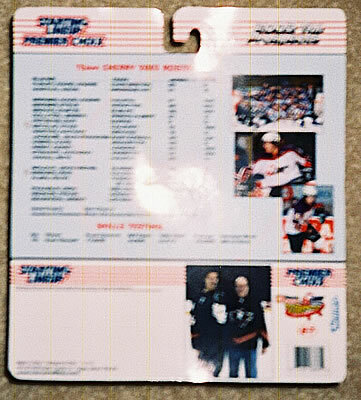 So I took it upon myself to make sure that these junior players would still have hockey cards during their junior careers. 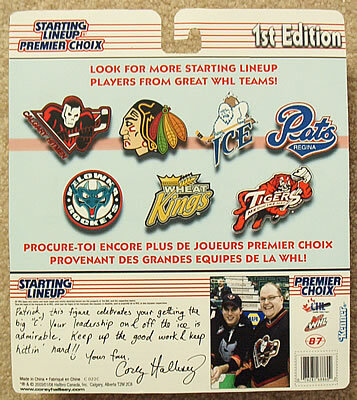 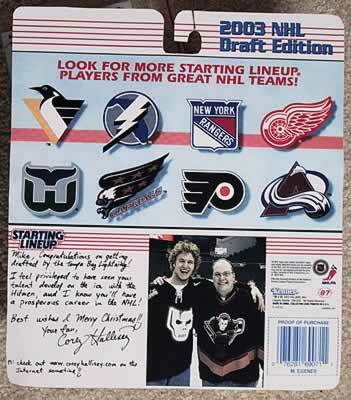 After all, for those who don't make it to the NHL, this will be the last hockey card of themselves these players will likely ever see. 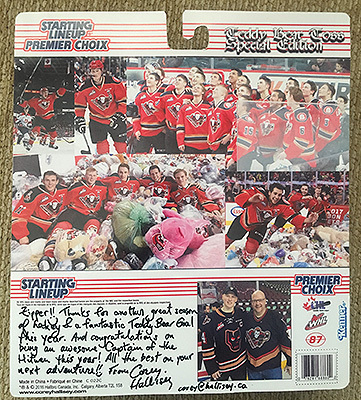 The Hitmen show grit, courage, and great sportsmanship time and again. 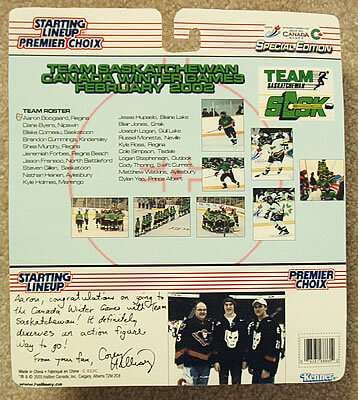 They are great to watch on the ice, and they are the epitome of Calgary's tough, young, and energetic spirit. 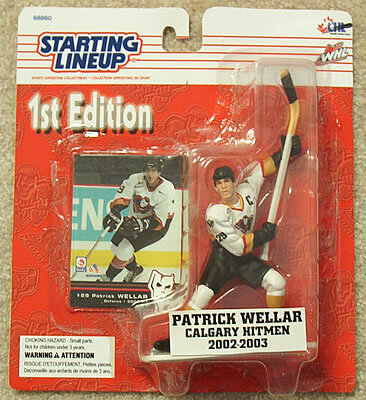 After making a number of action figures for the Hitmen players, I started losing track of how many and who've I've made them for....so here's a list (in reverse chronological order). 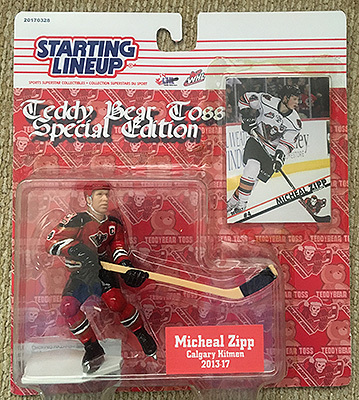 2017/3/30 Micheal Zipp for his Teddy Bear Toss goal, and for being a great Captain this year! 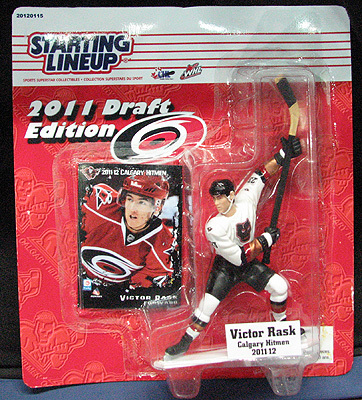 #73 2014/1/5 Pavel Padakin - for scoring TWO Teddy Bear Goals in 2 years. 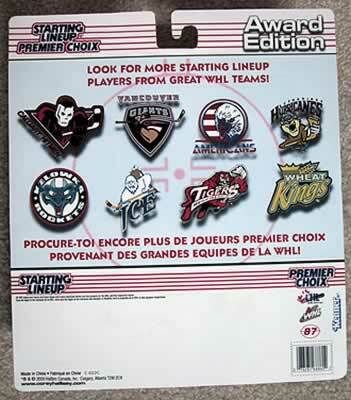 A first! 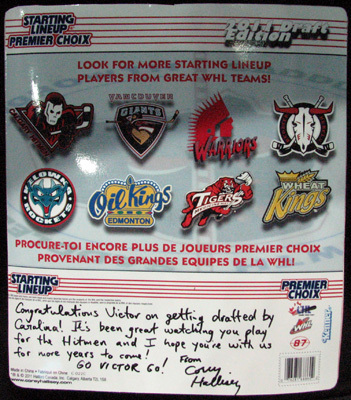 I wanted to do some a little extra special for Justin since he and I are both from the Okanagan Valley (him from Penticton and me from Kelowna). 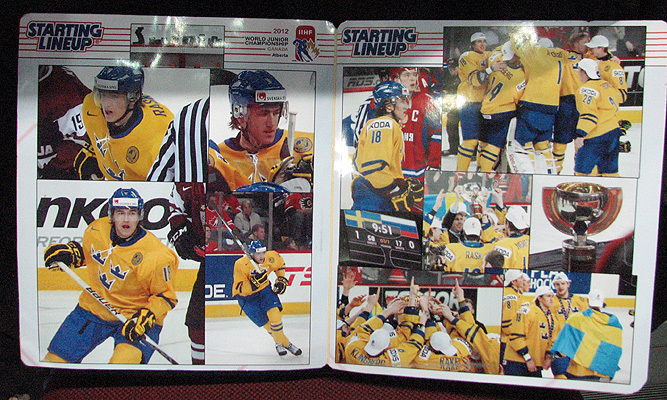 So I did a fold-out photospread of photos from the tournament. 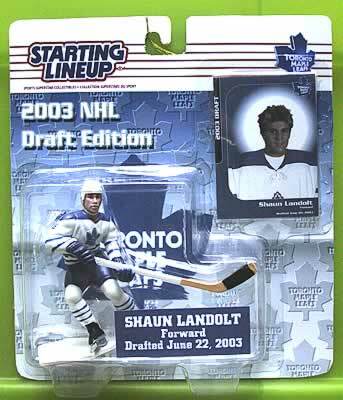 Shaun Landolt - for getting drafted to the Toronto Maple Leafs this year. 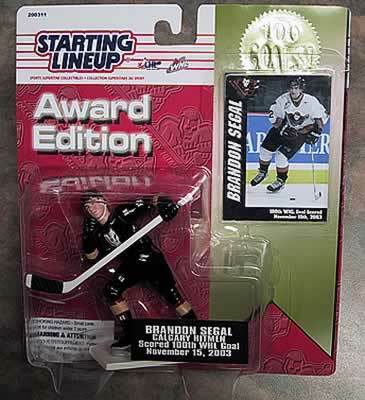 Brandon Segal - for scoring his 100th goal in his WHL career. 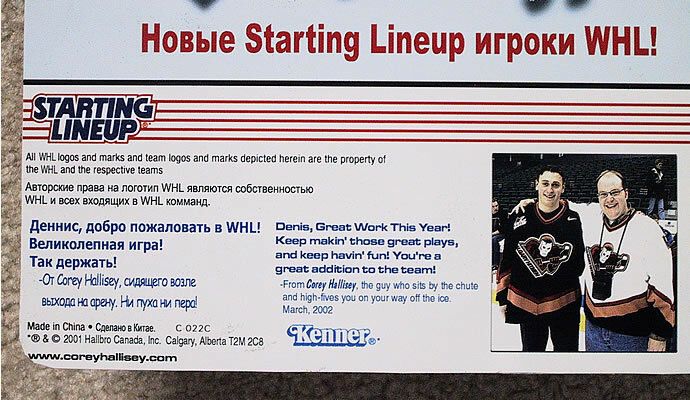 Only 4 other Hitmen players have achieved that milestone. 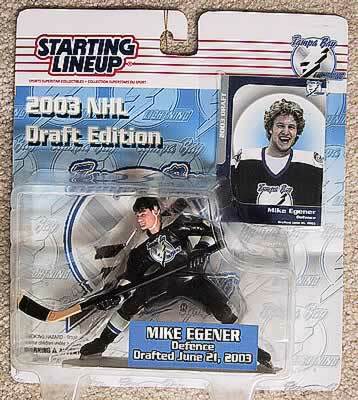 Mike Egener - for getting drafted to the Tampa Bay Lightning this year. 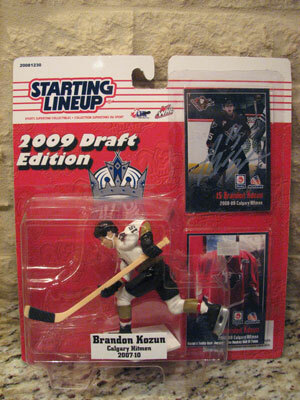 Brent Krahn - This was a gift for Brent to show my appreciation for his huge contribution to the Hitmen over the last 4 years. 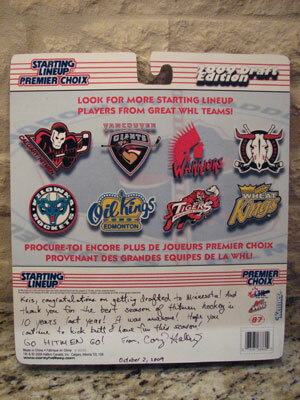 I'm still not impressed with Hitmen Management who released him so close to his "graduation" from the WHL. 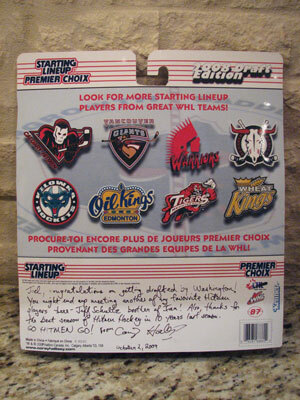 But Brent showed them, by taking Seattle to the playoffs and establishing the WHL's 2nd longest shutout streak! 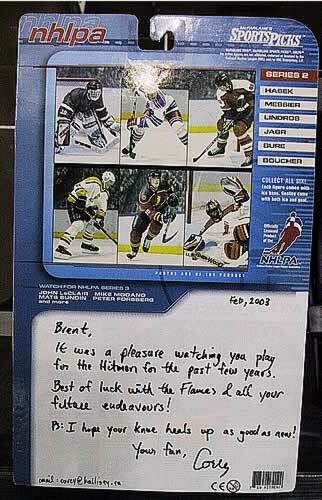 Way to go Brent! 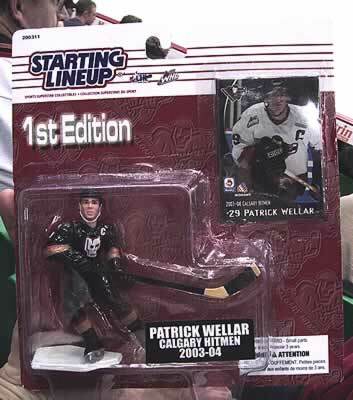 Patrick Wellar - for being a great captain this year! 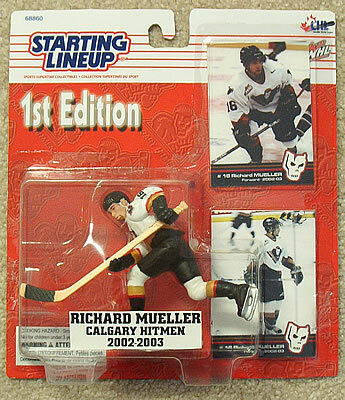 Richard Mueller - grad gift. 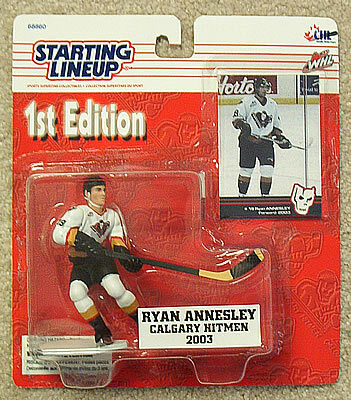 Ryan Annesley - grad gift. 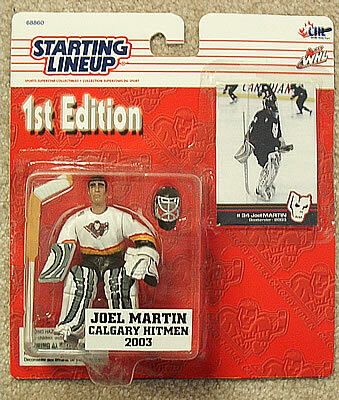 Joel Martin - grad gift. 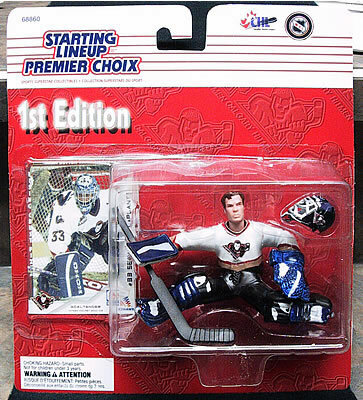 Wade Davis - Hitmen Action Figure - his going away present. 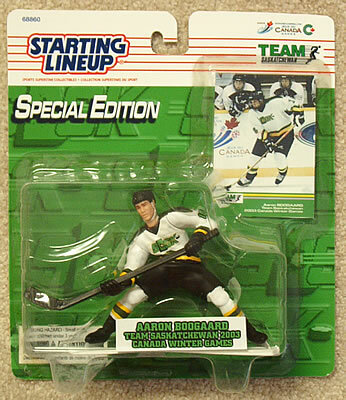 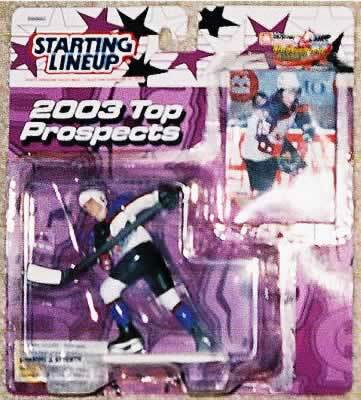 Wade used to collect hockey action figures when he was a kid. 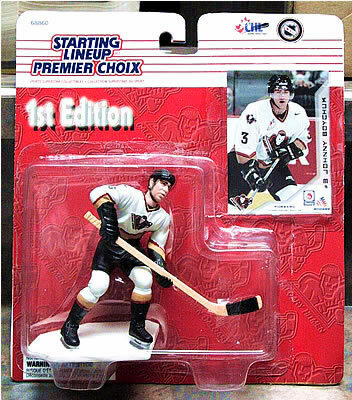 Johnny Boychuk - (not really a Hitmen figure, but customized nonetheless) This one celebrates Johnny's getting Drafted by the Colorado Avalanche. 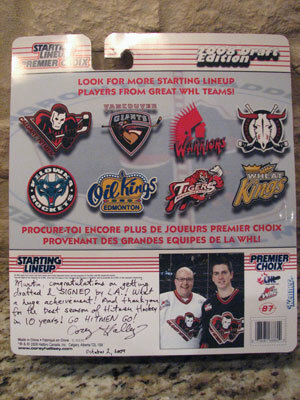 NOTE: When I gave this one to Johnny, his family was there too! 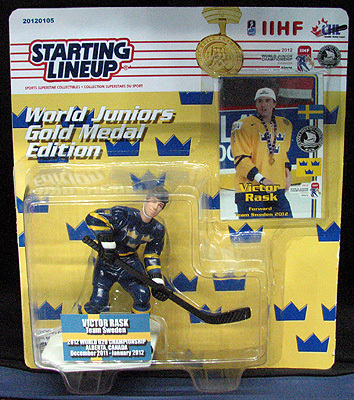 Johnny Boychuk - for making the Canadian Under-18 National Team & representing Canada in Slovakia. 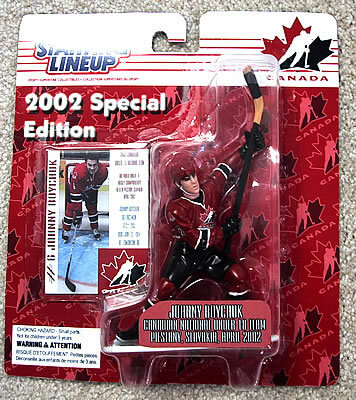 NOTE: Johnny sent me a TON of photos of him with his figure as a thankyou! 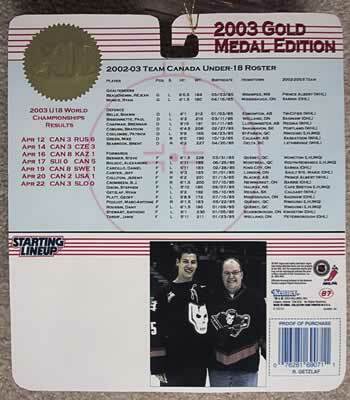 Mike Egener - for making the Canadian Under-18 National Team & representing Canada in Slovakia. 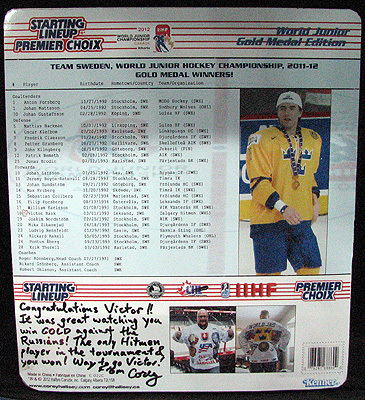 NOTE: Mike gave me a stick & a photo from his trip to Slovakia as a thank you for his figure. 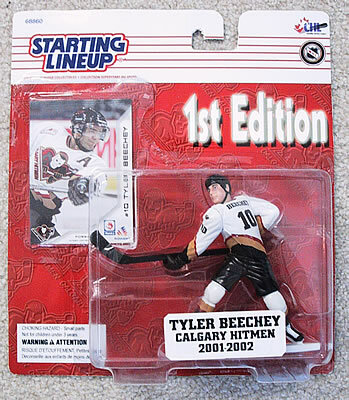 Tyler Beechey - for breaking the 40+ goals mark in the 2001-02 season. 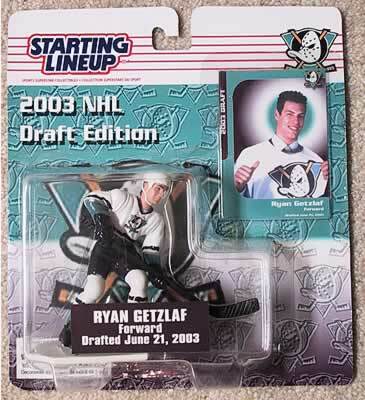 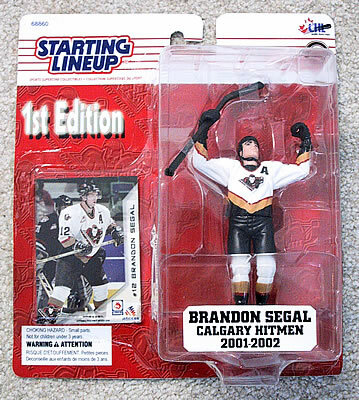 Brandon Segal - for breaking the 40+ goals mark in the 2001-02 season. 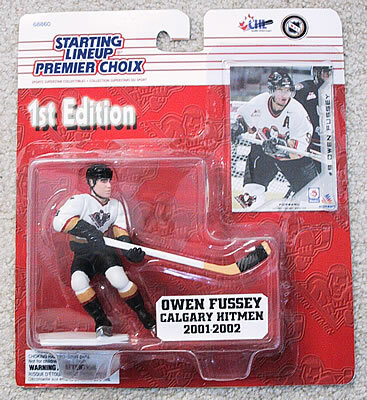 Owen Fussey - for being my "hardest working player". 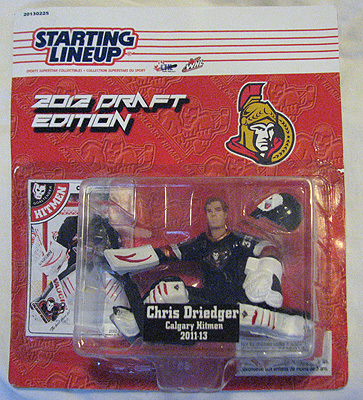 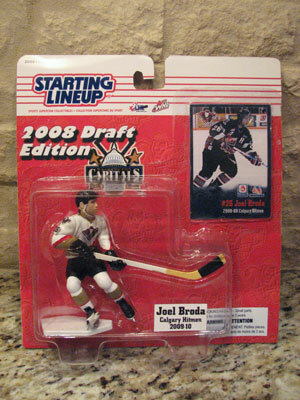 This one was because he broke his leg in 3 places in Kelowna (well, that's not exactly why, but it's close). 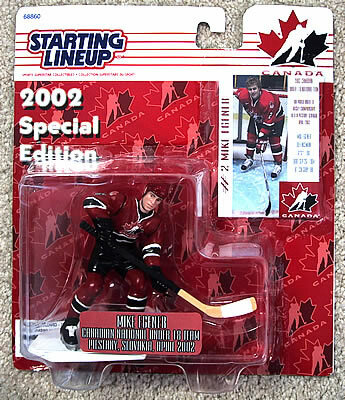 Sebastien Laplante - 20th birthday present. 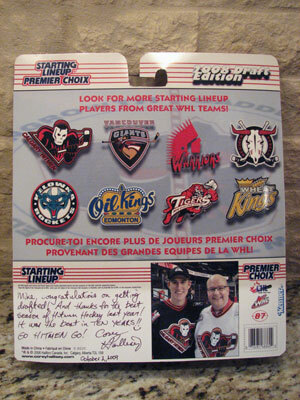 for more recent Hitmen photos, click here to visit my Hitmen Flickr Photo Collection! 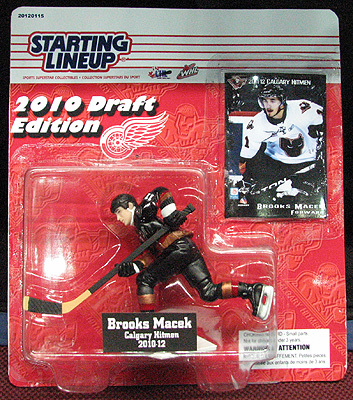 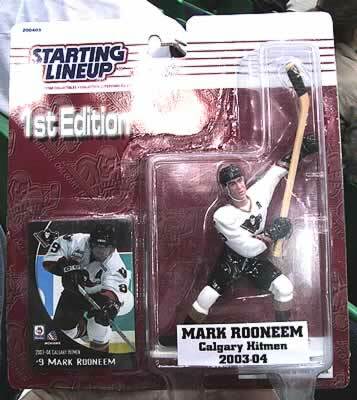 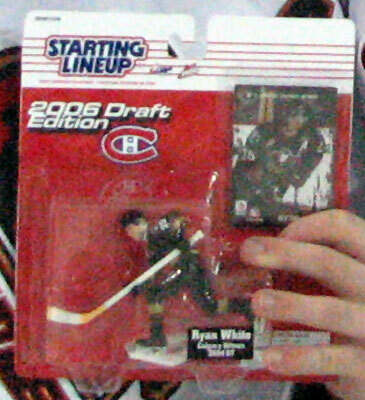 2006/03/12 - Corey wins Riley Merkley's jersey "off the players back"
2004/03/30 - Gave Mark Rooneem & Patrick Wellar graduation action figures. 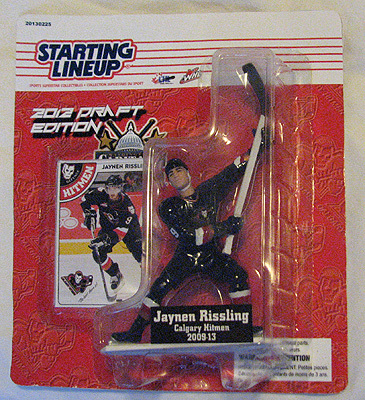 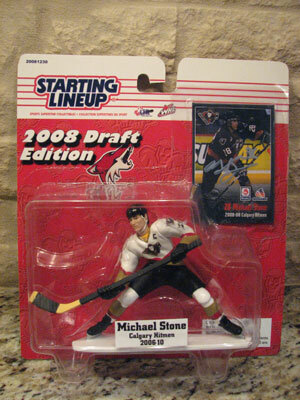 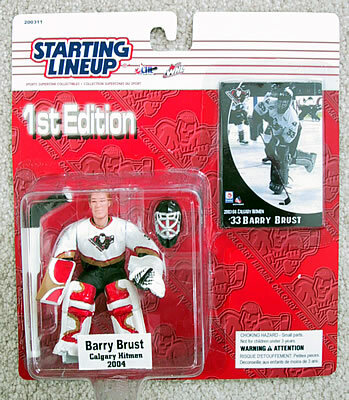 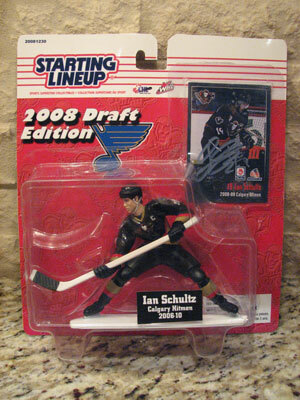 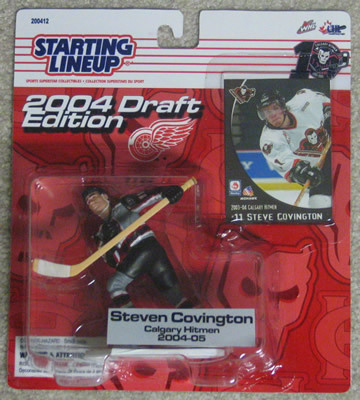 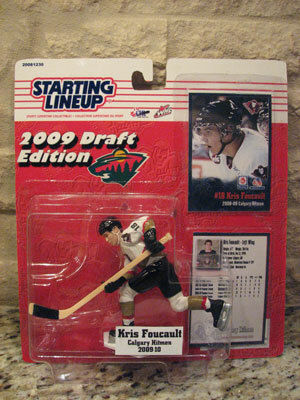 2004/03/25 - Gave Barry Brust his graduation action figure & Dmitri Chupilkin his Russian-translated action figure. 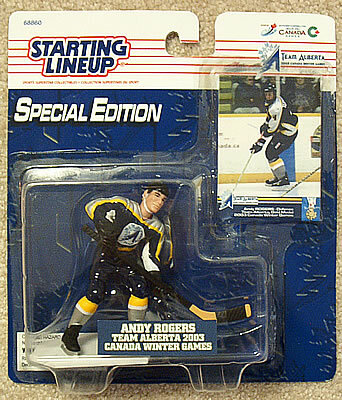 2003/03/10 - End-of-season Action Figures for Joel, Ryan, Richard, Aaron, Andy, and Patrick. 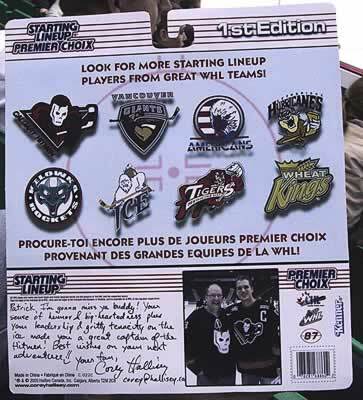 2002/10/06 - Fun before the first Hitmen Home Game! 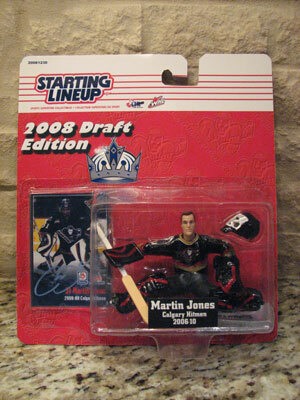 2002/10/06 - Presented Johnny with his one-of-a-kind Colorado Avalanche action figure. 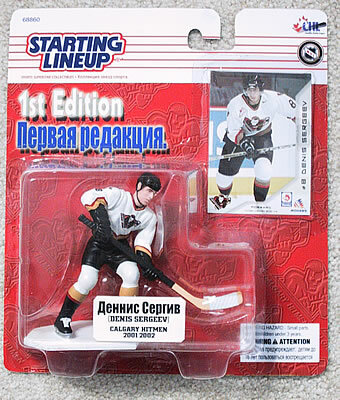 2002/03/19 - Gave Denis Sergeev his action figure. 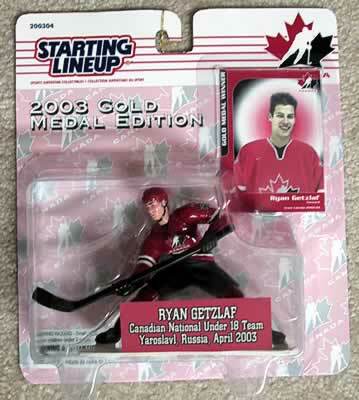 Turned out it was a "get well soon" present! 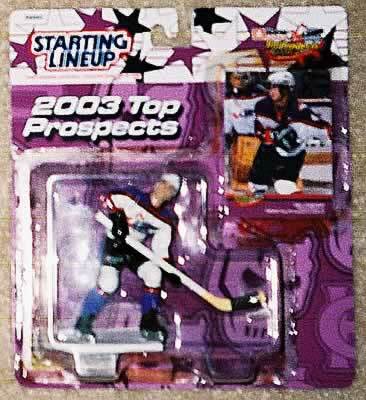 2002 Skate with the Hitmen - Gave Sebastien Laplante his Birthday Action Figure!